If there’s one thing that every gardener learns, it’s that timing is everything. The path to a healthy harvest always starts with basic foresight and planning. The zone finder and vegetable & herb timing tables provide the basics for scheduling your conventional and vertical Garden Tower 2™ plantings. Gardening with a high-volume container system like the Garden Tower 2™ gives you a head start. In a sunny location, soil in the Garden Tower 2™ will heat up faster, and retain a higher temperature, than in conventional gardens. 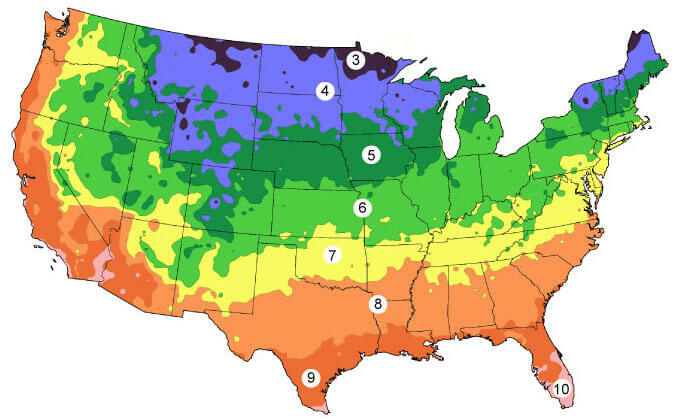 If nighttime frost protection can be provided with tarps, garden fleeces, bed sheets, large trash bags, or other methods, the typical traditional planting schedule can often be moved forward an entire month. View your zone map by state.